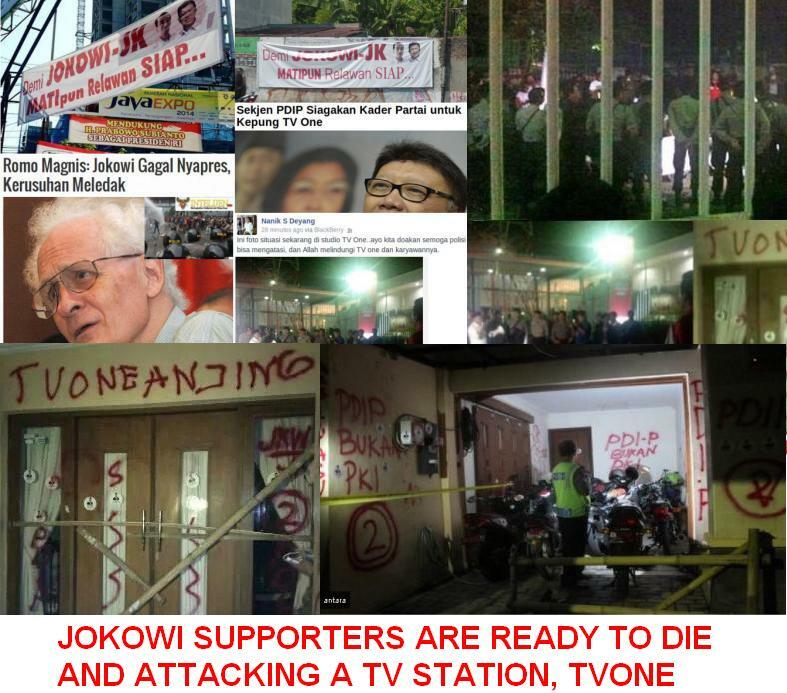 Jokowi’s Supporters Attack a TV Station! On July 2nd, Joko Widodo’s supporters were attacking a TV Station, TV One, in Jakarta and Yogyakarta city. In Jakarta, the police could stop the Joko Widodo’s supporters that led by the PDIP’s second man, Tjahjo Kumolo. While in Yogyakarta, Jokowi’s supporters breaking and entering the TVOne’s office and wrote the office with paint sprayer such as TVOne is D*G.
The Joko Widodo’s supporters are indoctrinated that they are ready to die for Jokowi. 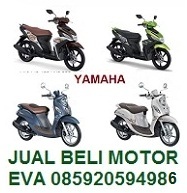 It’s not good for Indonesian’s Democracy. This is just one of a reason I don’t vote for Jokowi for Indonesia’s President.